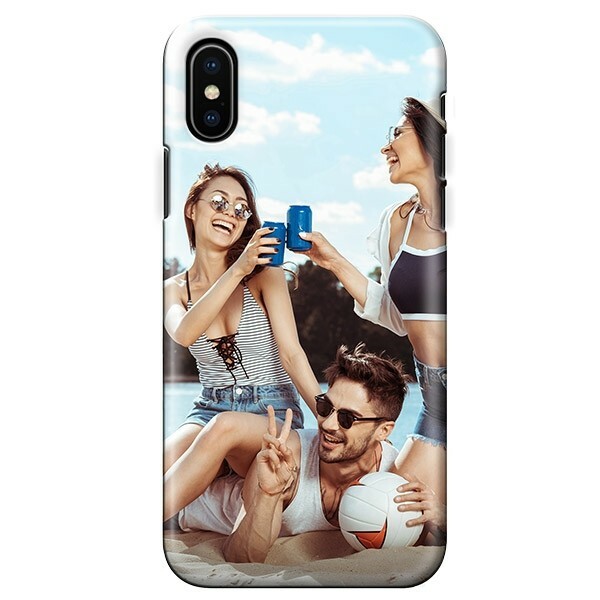 Your favorite photos and designs printed on a custom tough case. Protect your phone with a custom tough case for maximum protection and a personal look. 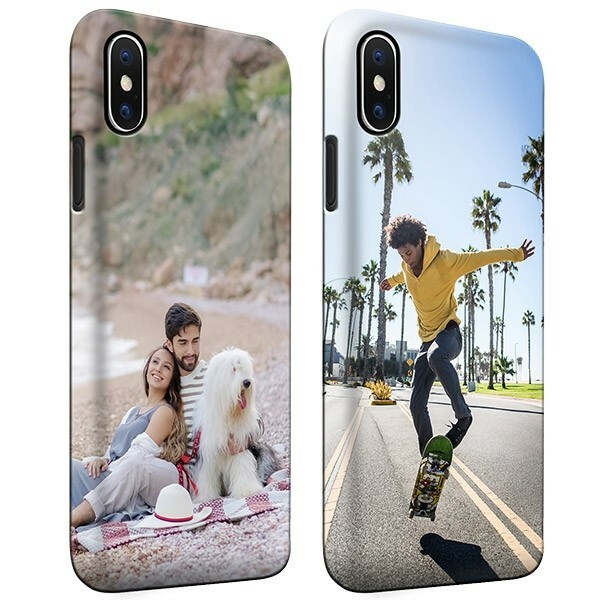 Design your own custom iPhone XS case and will print it and ship it right to you. Your favorite photo on a custom iPhone XS case. Use your favorite holiday photos, pictures of your family or images of your cute dog to make a one of a kind phone case. It’s your case so you decide how it looks, we’ll just print it and ship it to you. However, custom printing takes nothing away from this tough case and its durable design. This tough case is made of a soft rubber inner case for shock-absorption and a harder outer case that will protect the phone from dents and scratches. Your phone will feel a little bulkier, but that is always better than a busted screen. Protect your phone and get a one of a kind case. Don’t settle for less. 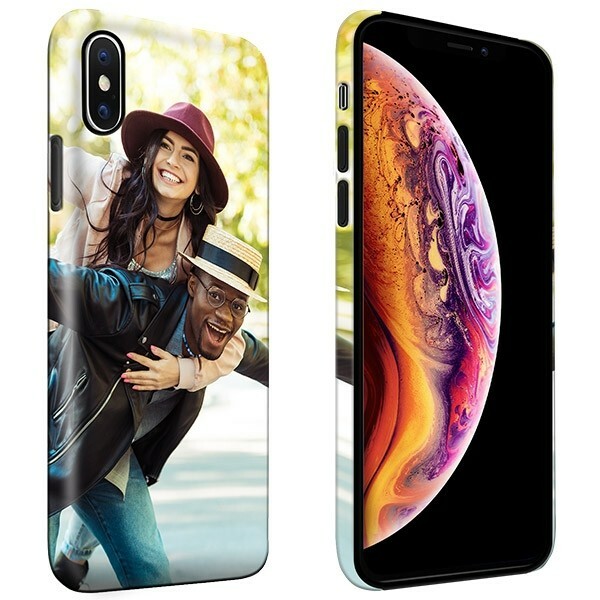 Order your custom iPhone XS case now. How to design your own tough case. Designing your custom iPhone XS case is incredibly easy. In three steps and in about five minutes, you can create a phone case that will make other people ask you where you bought it. Choose your favorite photo and upload it to the Customizer using your phone, a laptop, or via a social media account. Make any adjustments to the images like resizing or rotating the images, then add any text or logos to finish the design. Preview your design to check that everything is that way you like it, then check out. We’ve made the process of designing a custom phone case easy so you can focus on choosing your favorite photos. Once you order your custom phone case, it’s our turn. Very quickly after you finalized your order, we’ll start working on it. Quality products are our goal which is why we use high-quality printers and scratch-resistant ink so you get a great case. After a quick check for imperfections to ensure you get a quality product, we’ll box it up and ship it to you. We’ll send you a tracking code so you can know where your case is. Our support team is available to help and answer any questions, email them at support@gocustomized.com. Create a beautiful custom case now!